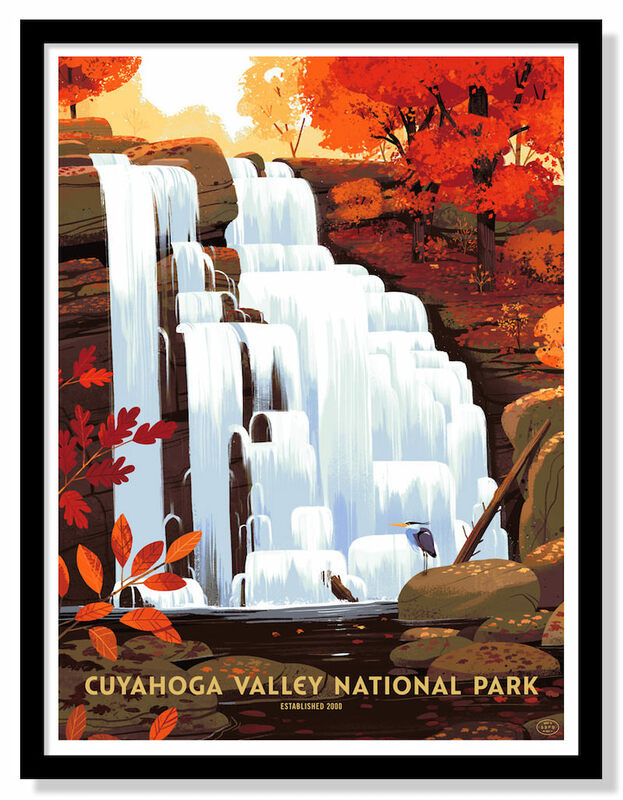 The latest poster from The 59 Parks Print Series is Cuyahoga Valley National Park by Kim Smith. It’s an 18″ x 24″ screenprint and costs $40. Visit 59Parks.net.